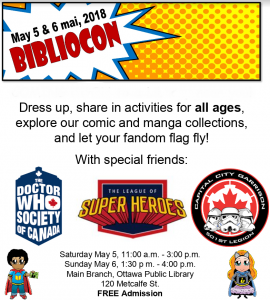 On Saturday May 5th and Sunday May 6th, the Main Branch of the Ottawa Public Library is hosting its very own (mini) BiblioCon, a celebration of all things comics and geek culture. 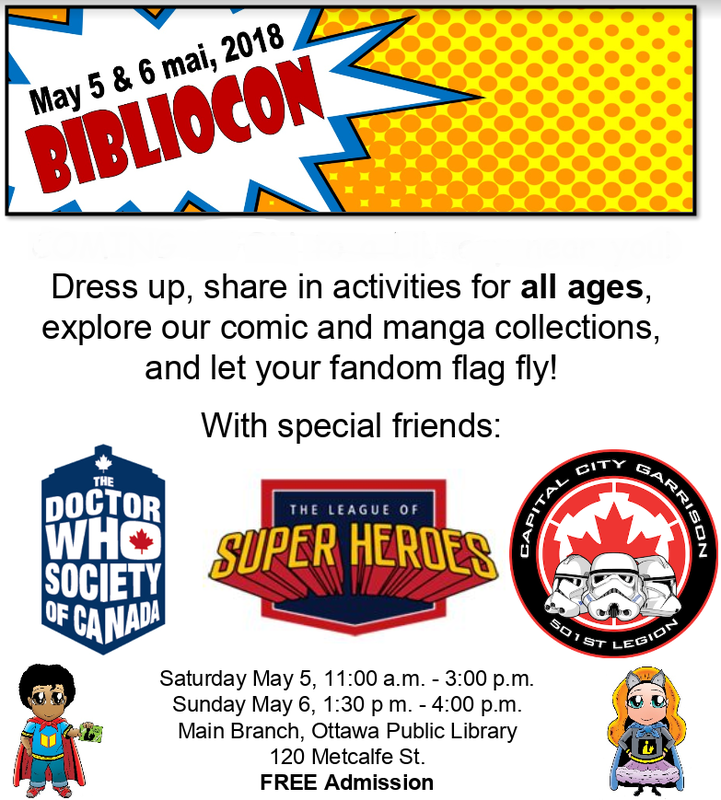 BiblioCon will be held at the Ottawa Public Library’s main branch at 120 Metcalfe Street and will include superhero storytime, a comic trivia contest, a booksmack, comic-themed crafts, face painting, picture-taking with a green screen and a presentation by graphic novel author/illustrator Jo Rioux among other events. Guests are encouraged to come in costume. This event is FREE and geared to all ages. Bibliocon will be held Saturday May 5th from 11am to 3pm & Sunday May 6th from 1:30pm to 4pm. For more information, the Ottawa Public Library official website.